It’s about to disappear from European roads and America might be next. A new report indicates the Lexus GS is effectively dead in Europe. 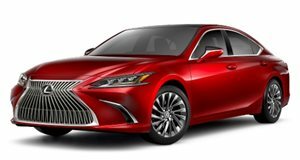 According to , Lexus Europe stopped booking orders for the rear-wheel-drive sedan at the beginning of March and will end production of the Euro-spec version in April. Allegedly, poor demand has prompted Lexus to pull the plug on the GS in the old continent. Moving forward, the GS will be replaced by the next-generation ES sedan which is due to debut later this year. The forthcoming ES will gain a new platform developed under Toyota’s TNGA ethos but will retain the current car’s front-wheel-drive layout. The car’s European demise is potentially the proverbial canary in the coalmine for the big sedan in all other markets as well. 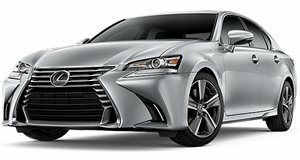 Lexus doesn’t realize a significant sales gain from selling two executive-class sedans, albeit with different driven wheels. The GS has never really built much mainstream appeal in North America, it’s been one of the company’s worst selling models since its introduction. In the United States, most of the pain is inflicted by the ES which provides a similar size, more comfortable dynamics, and most importantly, undercuts the GS on price by a significant margin. Rumors of the car’s impending death go back to March 2017 when Japan’s finest automotive gossip sites reported the GS would be terminated altogether because Japanese executives were worried that the GS was stealing too many sales from the larger LS sedan. The fact that we even still have a GS sedan is a miracle in itself as Toyota boss Akio Toyoda reportedly fought against the car’s redesign back in 2011 but relented after facing intense pressure from US executives.